Metro Vibes UI Kit is created by PixelKit – a collection of high-quality premium graphics for designers and developers. Now you have the chance to download the kit for free. The freebie includes 20+ graphic elements in .PSD format that are ready to inspire your work. 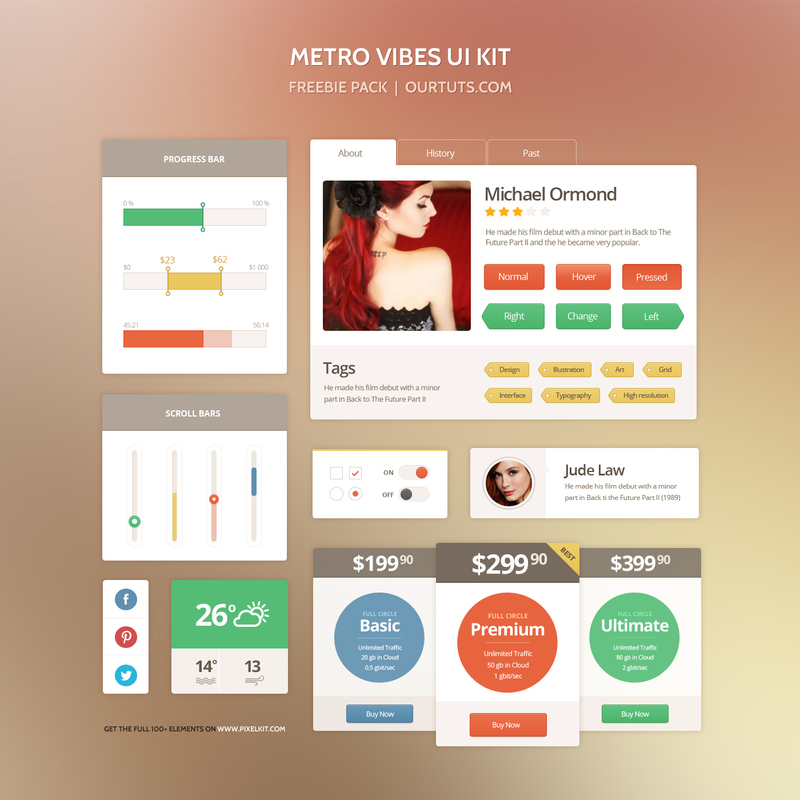 Using Metro Vibes innovative and creative UI kit you can create the ultimate metro theme for your modern website or application. This UI kit is perfect to be used when you want to create a modern and fresh look of your application or website. Here you can find pixel perfect graphic elements such as price table, progress bars, scroll bars, weather and social buttons available for free. One of the coolest advantages of using PixelKit is that you have access to design resources that will enable you to complete projects quickly, while still meeting your own high standards. By browsing their website, you will quickly see that they have a library with high-quality items. I`m inviting you to download the kit, make use of it and then share with us the project you`ve been using it for!